Mama Blue sure was busy the last few days. As of the previous nest check there were 0 eggs, but 4 today, an egg-stravaganza… like a special Easter gift! 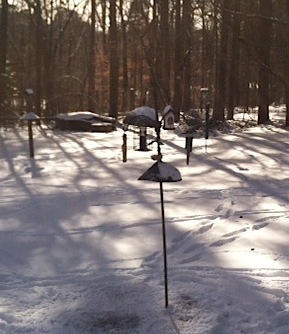 The whole episode started with a squabble between blues and chickadees over blue bird houses and who will nest where. Not uncommon at all for birds to remove others’ nesting material and raise a ruckus, but never had we seen activity like this before. Mr. Blue not only removed the moss from the birdhouse he wanted… he placed the material in a nearby house as if to say “okay, chickadee, you nest here!” The chickadee would then retrieve the moss Mr. Blue had placed inside! This activity went on for about 20 minutes until we were the ones who actually gave up! 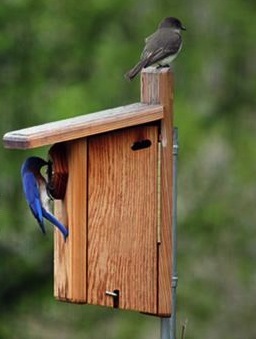 Their nests are completely different, so the winner of choice number one box was confirmed the next day. Chickadees use moss, hair, feathers, and maybe wood chips, while Eastern bluebirds construct their nests with mostly pine needles, dried grasses or weeds. But no eggs, and a week later… no eggs 🙁 And then today 4 perfectly colored, beautiful bluebird eggs. 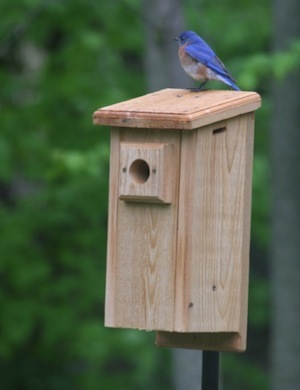 Not only in the Southeast, but as far north as IL and NY, bluebirds are starting earlier than usual. Longer days and warmer temperatures have much to do with it. Availability of insects nudged the earlier than usual nest starts too. So as long as the weather cooperates (no snow/ice storms or drenching rains) bluebirds will be lucky to have a good season, with at least two, possibly three broods. Grow strong and thrive little blues! 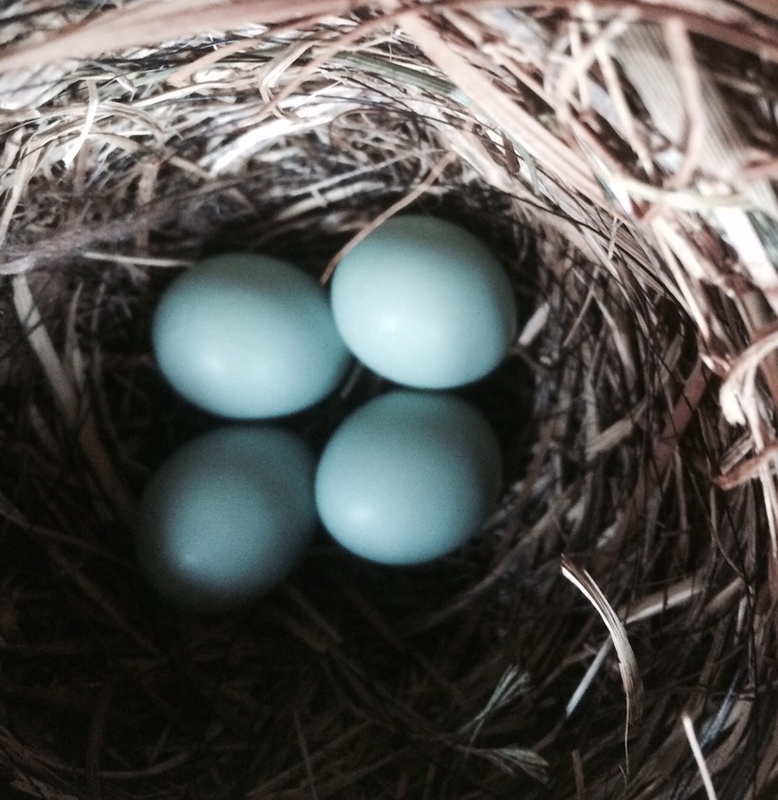 May you find bluebird eggs in your house today! 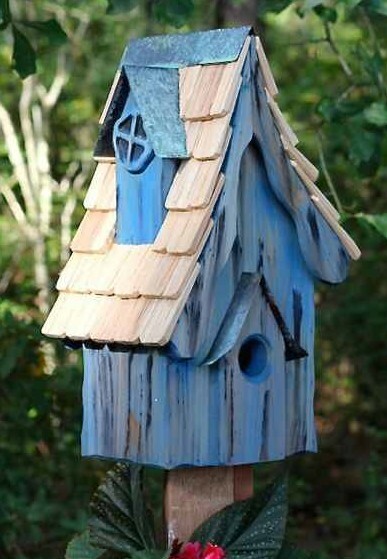 Not all blue bird houses are created equal! Depending on how much you’re willing to commit may play a part in choosing a house to host bluebirds. 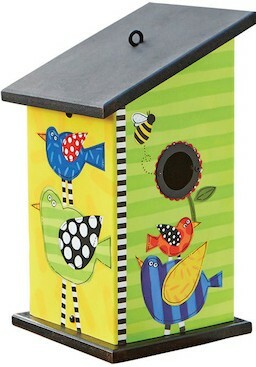 If you’re more of the “set it & forget it” kind (and that’s okay) at least use a quality wood or vinyl birdhouse. These usually have proper drainage, decent ventilation, adequate floor space and proportional entries (1.5 inches for Eastern blues and 1-9/16 inch for mountain and Western species). 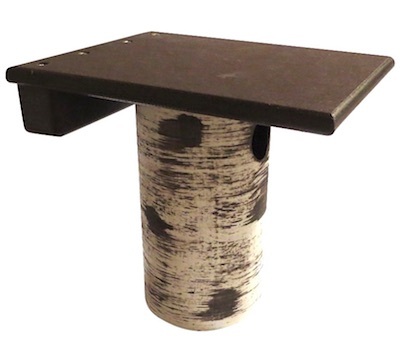 Predator guards are always helpful, both on the entry to keep grabby paws and larger bully birds out, and on the pole itself – in the form of a baffle. 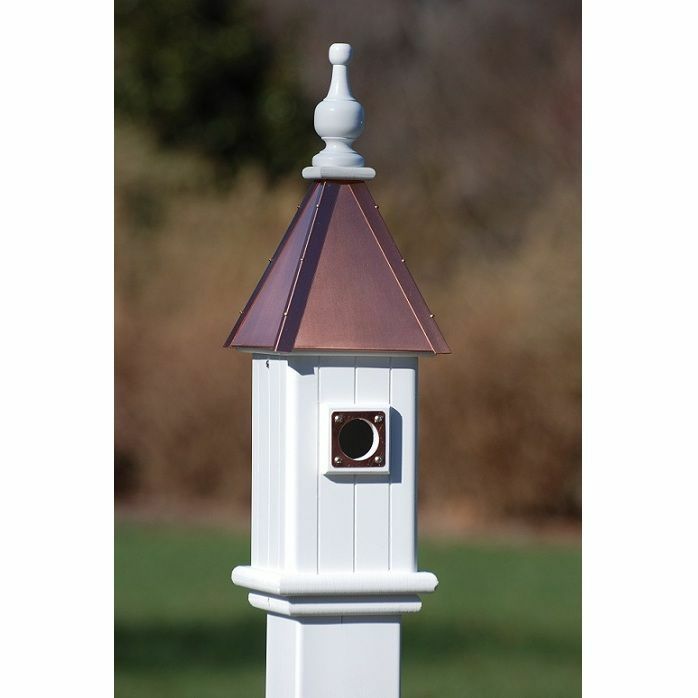 If the birdhouse hangs, simply use a hanging squirrel baffle above for further protection from predators. 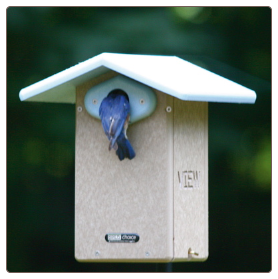 The National Bluebird Society approves housing that is monitor-friendly, meaning you can easily access inside to see how the nest is progressing and babies are faring. 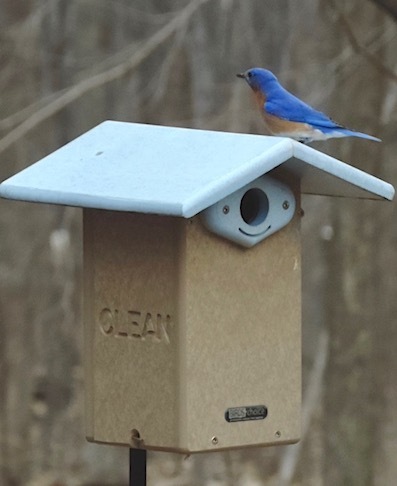 Most bluebird specific houses have side doors for viewing, Gilbertson houses pop on & off of the roof via two pins, and the popular Peterson style has a front door that pulls down for nest checks. Seasoned bluebird monitors all have their favorites for different reasons! But why would anyone want to see how the nest is progressing? House sparrows… they mustn’t be allowed to nest if you’re trying to attract bluebirds. They’re enemies, brutal enemies of native bluebirds. 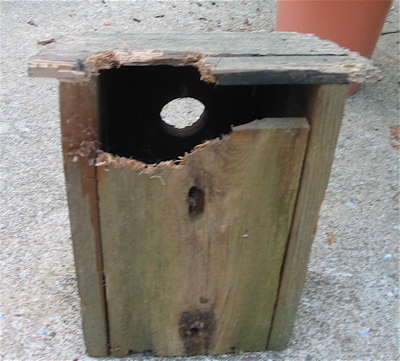 Until one witnesses the carnage- it’s difficult to grasp, and although native- house wrens should be deterred as well. The other day I was screaming at starlings in the yard when my friend insisted “they’re birds too-they deserve to eat.” Not here, nope, no can do! Also non-native, and invasive, they compete for nesting space with brutal tactics, not to mention the mess on every baffle and feeder around the yard! 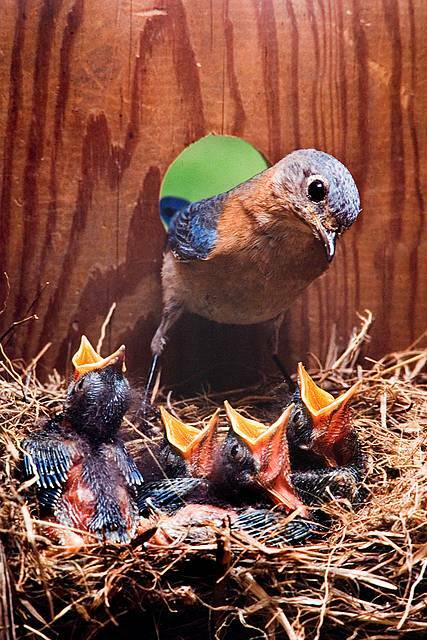 If you’re new to hosting bluebirds, nature will show both the pleasures and heartache she can bear. Knowing a few basics will have you on your way in no time! Watch for sparrow nests, usually piled high and messy, with bits of trash woven throughout. They tend to have a tunnel-type entrance as well. House wrens will lay claim by placing sticks inside, criss-crossed, piled up twigs. They’ll do this even when not using the birdhouse to nest… but simply to keep others out of their territory. 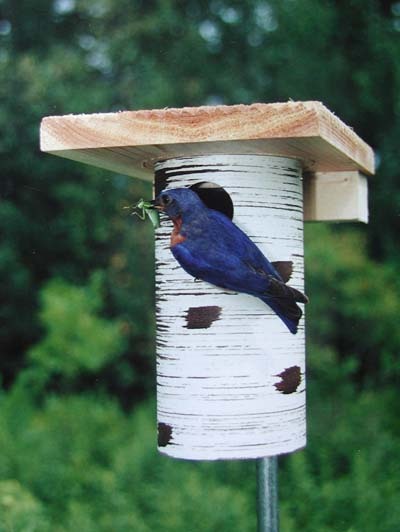 The website Sialis.org has a wealth of knowledge on identifying nests, eggs, behaviors and everything pertinent to bluebirds and other native cavity dwelling birds. Definitely worth a look! This letter to the editor appeared in The Journal Gazette, Fort Wayne, IN., a few days ago. We thought it might be of interest to those who are newer to backyard birding and so fascinated with all their feathered visitors. 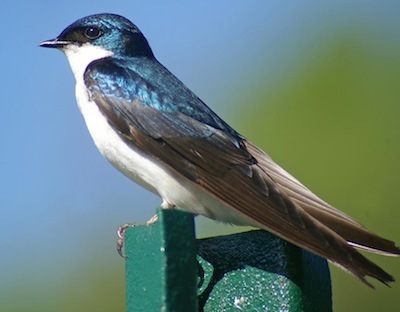 Because all songs are not always good ones, we believed this post was in order, especially when adding bluebird houses around your yard. 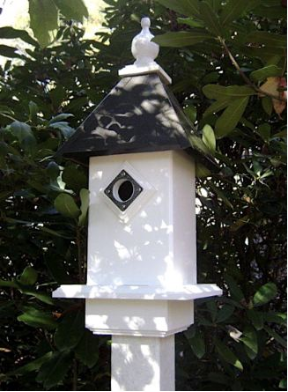 Eight years ago, when my husband and I moved to the Spencerville-Leo country area, I decided to put out a birdhouse. Soon our birdhouse was occupied by a pair of bluebirds and five blue eggs. I thought how easy and why was attracting bluebirds thought to be such a hard task? Unfortunately, I discovered the answer. The main problems for bluebirds are house sparrows. House sparrows are extremely destructive to American species of birds. House sparrows make a point of taking over nesting sites. Sparrows often and viciously take over nesting boxes inhabited by our American species. They trap adult birds in their nesting boxes and kill adult birds by pecking the skulls. 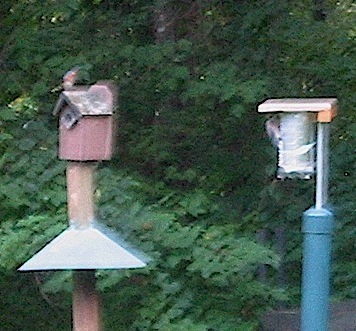 Sadly, sparrows most notoriously attack the baby birds also. Sadly, in one summer I have lost as many as 11 bluebirds, mostly attributable to the sparrow and another non-native American bird, the starling. If you are thinking about feeding birds or housing birds in your backyard, please be aware of what types of birds you bring into your area. 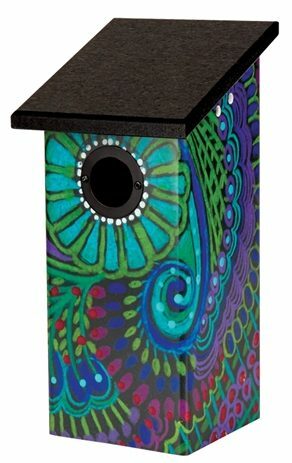 Monitor your nesting boxes often to make sure you are attracting the birds you desire. Now I feel like I’m starting over attracting bluebirds, but they are well worth the effort. As for my personal opinion toward house sparrows, they are nothing but trouble. Not all sparrows are bad, so it’s best to familiarize yourself with their identification by their song and plumage. Simply do a search for the ill-willed, non-native bird, and images with tons of resources will appear. Note the differences in male, female and juvenile birds as well. 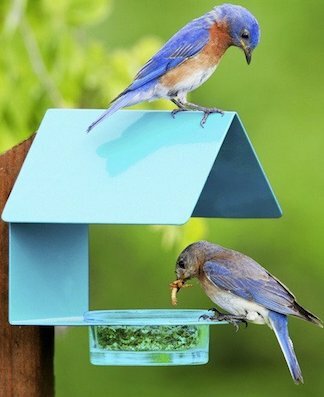 If you are serious about attracting bluebirds to your place, this information will serve you and the birds very well!